Windows 10 PC users never had to manually install iPhone drivers in order to backup or sync iPhone in Windows 10 PC using iTunes. This seems to have changed with the Store version of the iTunes app for Windows 10. 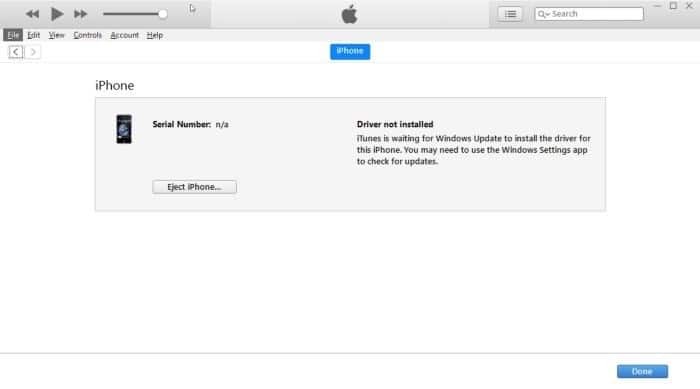 Users who have installed iTunes app from Windows Store seems to be getting “driver not installed” error when iPhone is connected to the PC. It seems that the Store version of iTunes (see how to download iTunes from Apple without Store) doesn’t automatically install necessary iPhone drivers (USB device driver) during its installation. If you are also getting “driver not installed” error in iTunes for iPhone, you can manually install required iPhone drivers with ease. 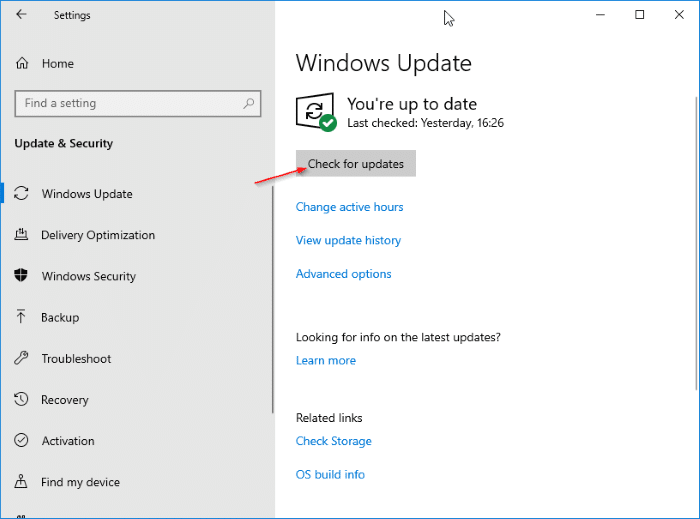 We can use the Windows Update service in Windows 10 to download and install the correct iPhone drivers for Windows 10. Step 1: Connect your iPhone to Windows 10 PC and launch iTunes. 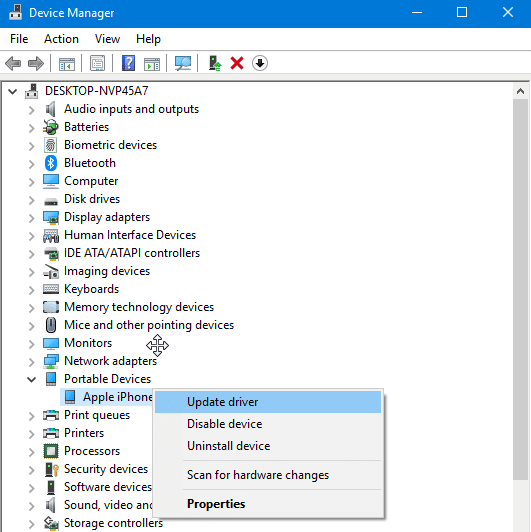 Step 2: When you get the “driver not installed” error, navigate to Windows 10 Settings app > Update & security > Windows Update. Click on Check for updates button to automatically download and install iPhone drivers. Windows Update will download and install two small drivers. Once the necessary drivers are installed, you may close and then launch the iTunes app. iTunes should now detect your iPhone without the “driver not installed” error. Step 2: In the Device Manager window, look for Portable devices (your iPhone must be connected to your PC). Expand Portable devices entry to see Apple iPhone entry. Right-click on iPhone entry and then click Update driver option. Step 3: In the resulting dialog, click Search automatically for updated driver software option. 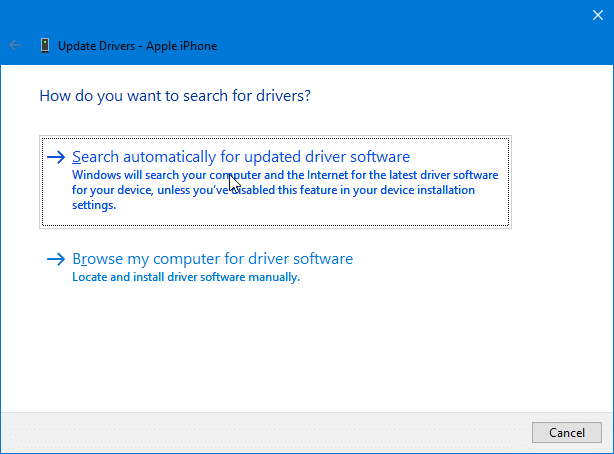 Windows 10 will automatically download and install the required drivers for your iPhone. Since Apple is very strict with iOS, it cannot connect to Windows 10 as easily as Android. It only Apple would open up iOS like Android is.